A piano in one of the music rooms at Siegfried's Mechanical Musical Cabinet museum in Rüdesheim am Rhein, Germany. 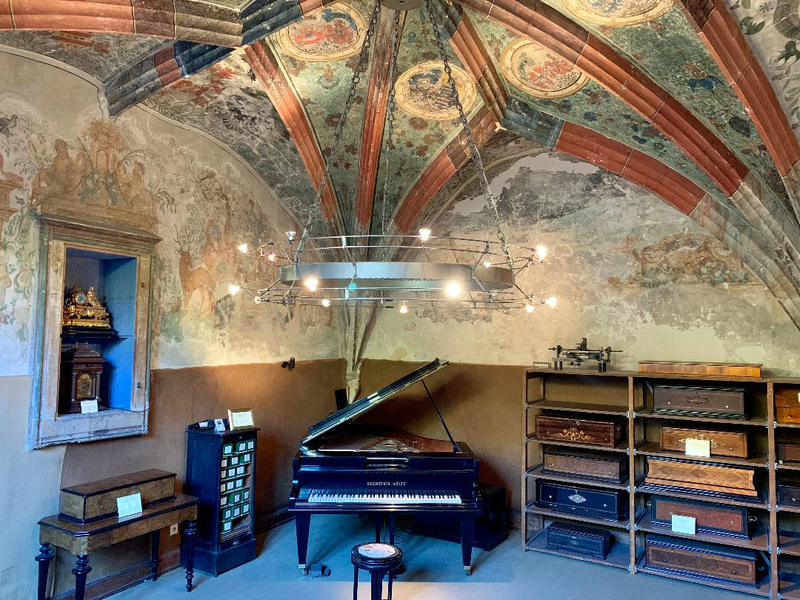 The museum is a showcase of approximately 350 self-playing, mechanical music instruments spanning three centuries. People used these musical cabinets to entertain their guests. 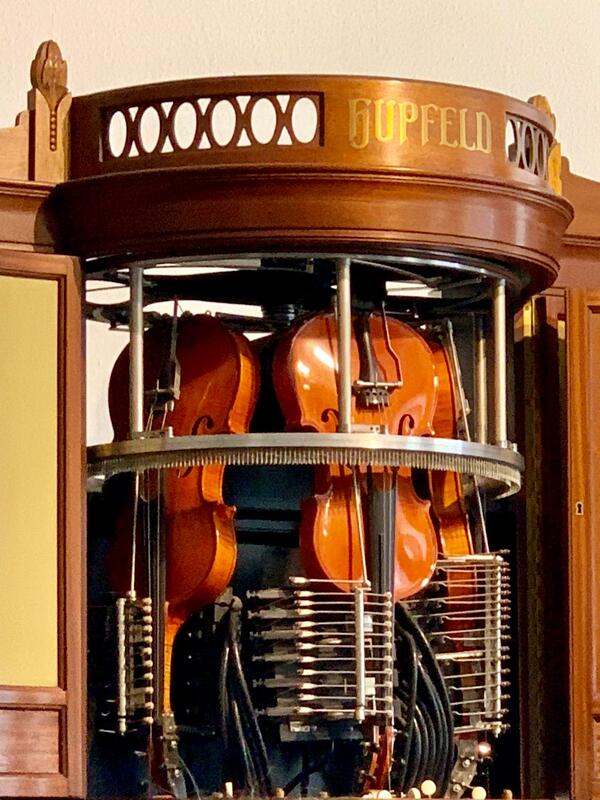 Some are very rare, some are extremely large, and some are small music boxes you might remember as a kid, the kind you wind up to hear the music. It's not just player pianos, like the one seen in the photo above, it's so much more. My favorite was the one with the violins. It was made my Ludwig Hupfeld. I didn't get any real usable video but you can see some of the mechanical instruments in videos other people have taken here, here, and the violin one here. It's a wonderful way to spend an hour. You'll feel like a kid again, discovering something new and standing in wide-eyed wonder at the complex configurations that make these machines work and produce music. It's amazing. And once you're done listening to the musical contraptions, you must head out into the town for their famous Rüdesheimer Kaffee.